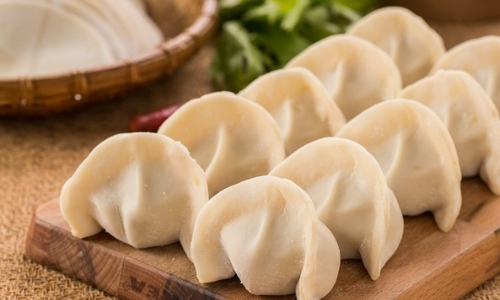 With a history of more than 1,800 years, dumplings (饺子 Jiǎozi /jyaoww-dzrr/) are a classic Chinese food, and a traditional dish eaten on Chinese New Year’s Eve, widely popular in China. It’s not only because it’s yummy and tasty, but also the meaning behind. Chinese people believe it is a symbol of wealth and good luck in Chinese culture!